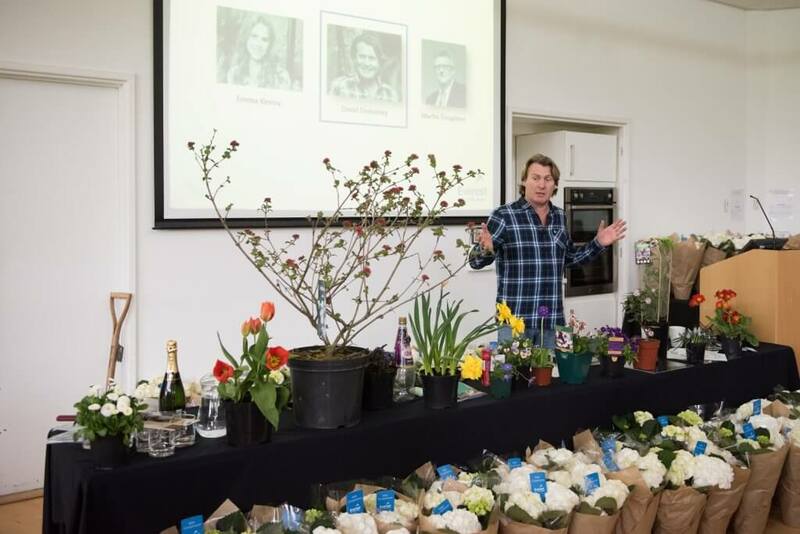 TV gardener David Domoney, one of the presenters at the Denman Day with Everest in April, shares his spring planting tips from the event to help you make the most of your home and garden. 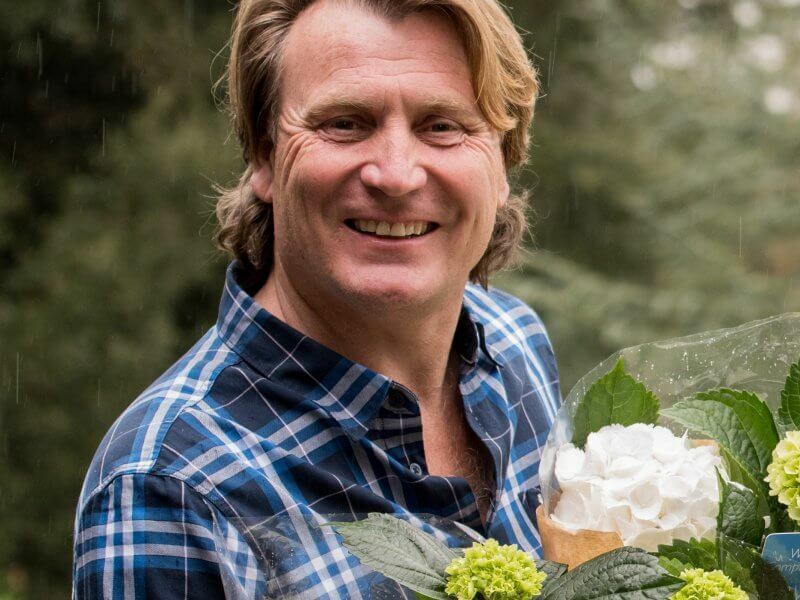 David is teaming up with Everest again this year for a series of interesting events and activities, including WI Denman Days and the RHS Hampton Court Palace Flower Show. Spring is in the air. The sun is gently warming our faces with the sounds of birds and bumblebees going about their daily garden routine starting to really bring the garden to life. Although the sun wasn’t evident during the wonderful day I spent at the WI’s Denman college, I had a great time talking with gardening-loving WI members — giving a series of presentations and tips on how we can reclaim Britain’s forgotten front gardens, create our own outdoor sanctuary and make the most of spring planting. Some of my favourite plants that I’m putting into my garden at this time of year generally have a variety of different purposes. The first is fragrance. I believe the interaction of senses in the garden is very important – its not just about looking good, its also about how we enhance our own sensory experience with plants. Daphne Odora ‘Marginata’ is a beautiful slow-growing evergreen that has robust evergreen foliage and a marvellous heady scent, perfumed with a zest of citrus from the blooms. Another of my favourite fragranced spring plants is Viburnum. Carleseii is the variety that I showed to WI members during my presentation at the Everest Denman Day. It has beautiful deeply coloured reddish buds that open into lighter pink flowers with a heavenly scent. There are many other scented viburnums such as burkwoodii and Juddii. Bulbs are another element of the garden that can really make an impact at this time of year. Plants such as Grape Hyacinth, Daffodils or even Tulips all give spectacular colour in spring. These are all usually planted in autumn, but they can also be bought pre-grown in pots and containers now to embellish your borders if you forgot to plant them. You may be planting summer bulbs now, in which case a great tip for planting bulbs is to grate a little soap into the planting hole along with the bulb to discourage squirrels from digging them up. Whenever planting, always push the bulb in and give a bit of a twist so that the base of the bulb hits the base of the soil to prevent any water from getting underneath and causing the bulb to rot. Other of my spring favourites include bright herbaceous perennials that come out early like Primulas and Polyanthas. The Primula that I brought to the Everest Denman Day was a Primula Denticulata with its lovely lollipop flower head. The final plants we looked at were anything that spills and trails. Aubrietia is one of my favourites for planting on the top of walls or even in window boxes so that it tumbles down with a fantastic burst of vibrant colour. At this time of the year, slugs can start becoming a bit of a problem, I like to use organic methods to try and deter them. Laying down sandpaper works well as they won’t crawl over the rough paper, and copper tape, Christmas tree needles or even hair work in the same way. Whilst roses are not usually in flower yet, it’s a great time to get them in the ground. Planting now gives them a chance to send out roots and get established during the warm spring weather, enabling them to perform better during summer. My secret to fabulous roses is bananas. If you bury a banana in the planting hole with your rose plant, or even lay banana skins on the surface of the soil you’ll be enriching your roses with all the potassium and minerals that they need to help them grow successfully. If you like edible gardening, then spring is the perfect time to plant herbs. There are a whole host of varieties that work well including sage, thyme, parsley and chives, and you can either pop these in the ground or in pots and containers. Herbs are so wonderful because they’re easy to grow; they interact with our sense of smell with their aromatic foliage, can be used for all your culinary adventures, and are also a visually interesting addition to any garden patio. If you’re growing in pots, it’s always a good idea to use pot feet. Pot feet are what hold the pot above the ground to prevent the drainage holes at the bottom of the pot from sealing with your patio. If you don’t have any pot feet, you can use wine corks to create that gap. So, there you have it. A whole host of spring activities to enjoy as our gardens come to life. And remember the garden is the tranquil space we create and fill with plants, scents and the things that are important to us. So [enjoy it / love your garden] and don’t forget to find time to relax and enjoy the sanctuary you have created.